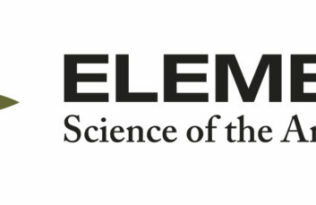 We are pleased to publish inaugural articles of Elementa, including three invited Commentaries that have been handled editorially by the Earth and Environmental Sciences Domain. The first commentary is from Wally Broecker, who is one of the most influential earth scientists of the past half-century. He has been instrumental in developing an understanding of the earth’s carbon cycle and for exploring the climate interconnections between the oceans, polar ice caps and the atmosphere. In his commentary Broecker makes the case that it is time for the research community to expend the necessary resources to become serious about the capture and sequestration of atmospheric carbon dioxide. He advocates further research and implementation as soon as possible of a large number of relatively small CO2 scrubbers to capture and bury carbon as the only path to preventing a future climate change catastrophe. The second commentary is by Yves Godderis and Susan Brantley, who are leading researchers in studies of the earth’s critical zone—the interface between the atmosphere and solid earth that is essential for terrestrial life. They make the case that more effort is needed to project critical zone processes into the future using models know as earthcasts. They provide an example by exploring a model for how silicate and carbonate weathering in the mid-continent of the USA will likely affect atmospheric CO2 sequestration in the future. Their example points to important areas for future research including integration of models for human behavior into biogeochemical models. The third commentary is by a group of authors (Erle Ellis, Dorian Fuller, Jed Kaplan and Wayne Lutters) who were early to embrace the concept of the Anthropocene and who have published important works on the history of human land-use and its effects on the terrestrial biosphere. Ellis and coauthors make the case for developing a geospatial cyberinfrastructure to collate and integrate information on human alterations of the global environment during the Anthopocene. They encourage the research community to collaborate in this effort by sharing information and infrastructure with the goal of more quantitatively assessing the global state of human transformation of the terrestrial biosphere.